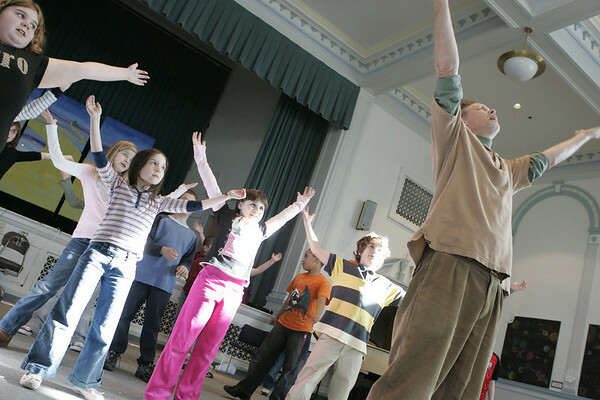 Salem: Third and fourth grade Saltonstall School students warm up during dance class taught by Carl Thomsen as part of the special legends program at the school. The students were learning a dance to a song about the midnight ride of Paul Revere. Photo by Deborah Parker/Salem News Wednesday, January 14, 2009.